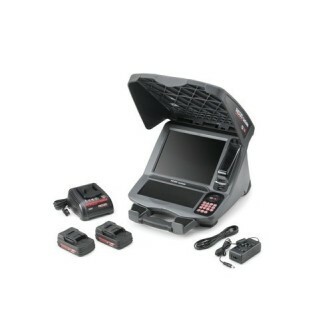 The SeeSnake LT1000 Laptop Interface allows you to leverage the power and flexibility of a laptop computer with your SeeSnake Mini or Standard drain inspection cameras and reels. It lets you use a laptop computer as a camera control unit to add powerful monitoring, recording, storage and communications capabilities. The LT100M is a detached interface that allows you to interface with any SeeSnake reel. Compatibility: All SeeSnake Reels. 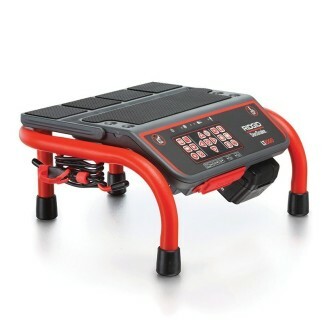 Includes: SeeSnake HQ Monitoring/Recording Software, 3' (90 cm) USB Cable, Micro Frame, AC Power Cable. The LT100M is a detached interface that allows you to interface with any SeeSnake reel. The RIDGID CS12x is the newest addition to the SeeSnake Connected monitor line and features enhanced connectivity via Wi-Fi. Battery & charger not included. The RIDGID CS12x is the newest addition to the SeeSnake Connected monitor line and features enhanced connectivity via Vi-Fi. 2 Batteries & 1 Charger including.